Your first step to becoming a Tar for life. R-Pride, a student organization committed to school spirit, traditions, alumni connections, and philanthropy awareness, offers opportunities to get and stay connected for life. 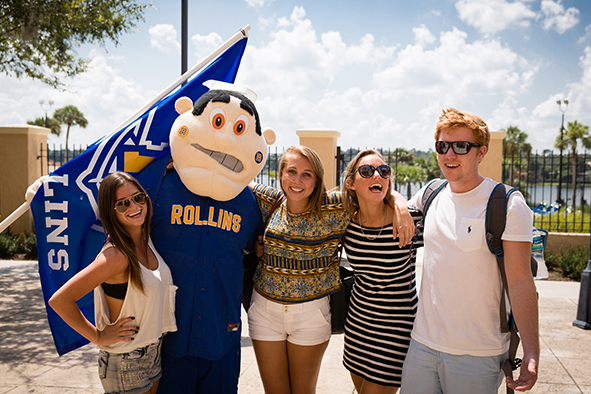 You might not realize it, but when you set foot on campus as a Rollins student, you started a bond with a place you’ll never forget. Here you will learn, grow, and form connections that will last a lifetime. And we have programs to enrich your journey from student to Rollins grad. Let us support you in becoming a Tar for life! R-Pride: Students Today. Alumni Tomorrow. Tars for Life.